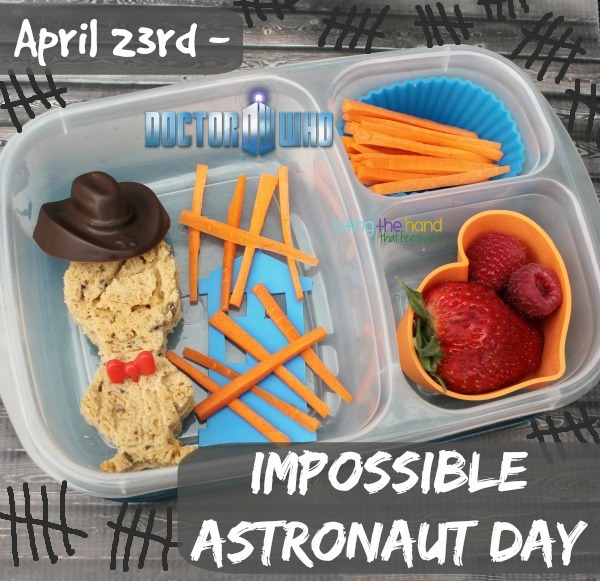 April 23, 2011 was the air-date of the Doctor Who episode Impossible Astronaut, and is known in geek-dom as Impossible Astronaut Day. 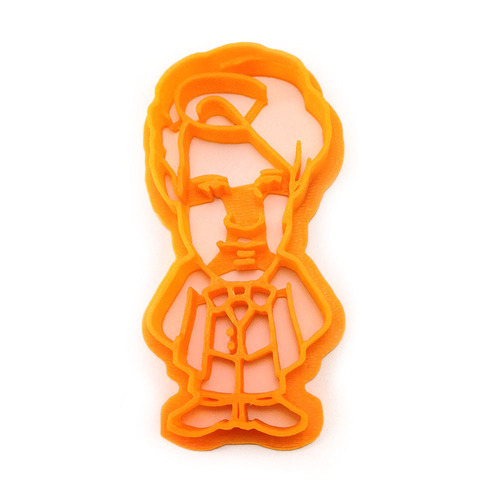 Cowboy Hats are Cool: I cut some gluten-free bread using my Eleven cookie cutter from Warpzone Prints and caaarefully added some peanut butter. Gluten-free bread is very brittle! I added a bow tie pick to help hold it together. Plus, bow ties are cool! 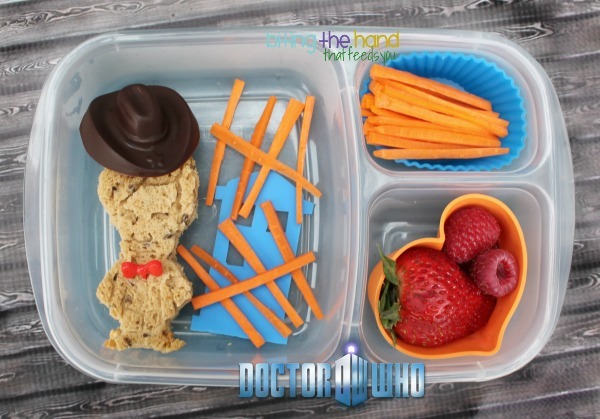 I used a cowboy hat candy mold to make a chocolate version of the hat that The Doctor sports in this episode. The Silence: I cut a carrot into matchsticks and laid them out like the tally marks the characters draw on themselves whenever they see a member of The Silence. And put some extras on the side! I didn't really care if they got all jumbled up in transit, so I didn't bother "gluing" them down with Ranch or peanut butter or whatever. TARDIS: I got the home-made TARDIS baran idea from Chaos and Confections. I made it out of part of a blue silicone baking mat. (You can probably figure out how it was done, or check out how I made it here.) 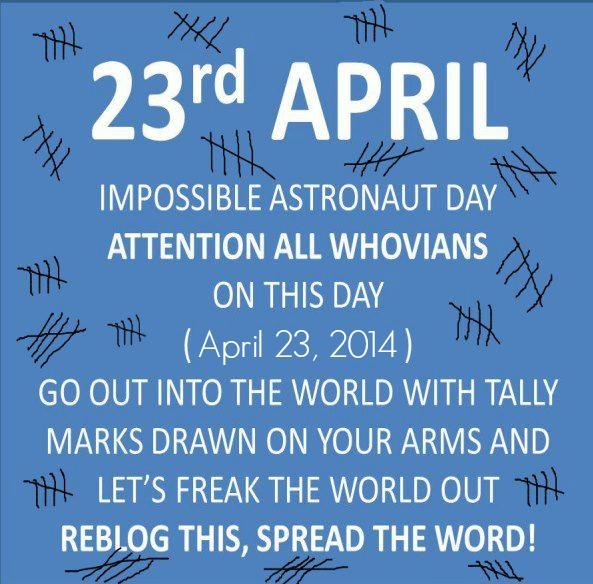 The TARDIS looks just right under the carrot tally marks! This is so cool, the chocolate cowboy hat is awesome! Also love the homemade baran idea, will have to try that!